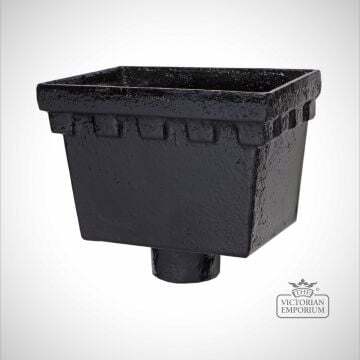 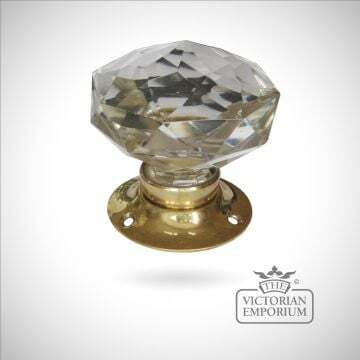 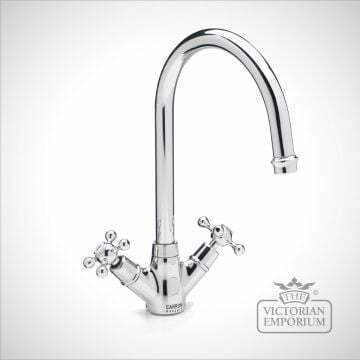 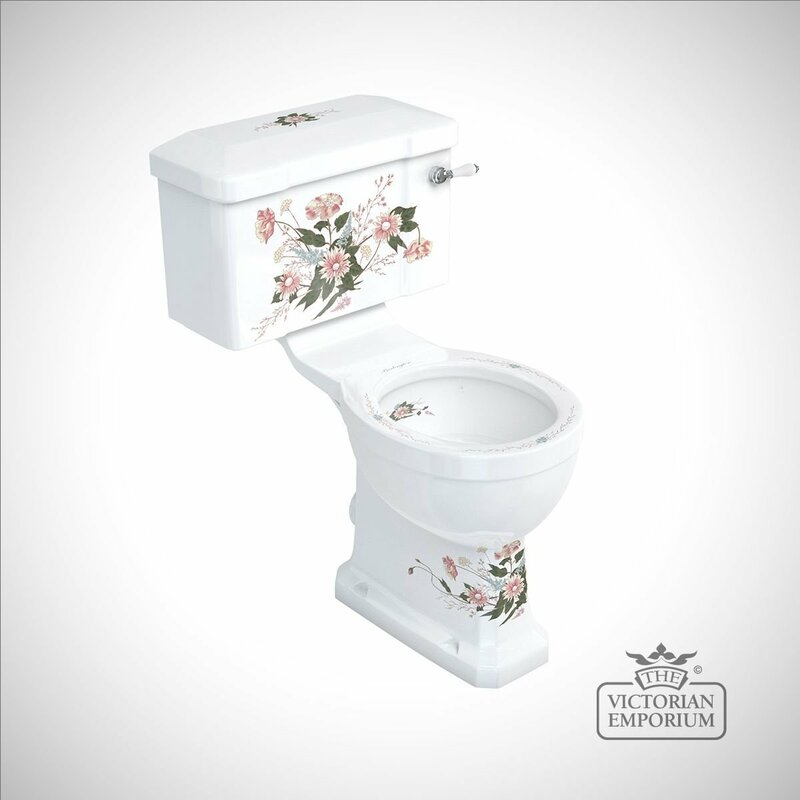 Beautifully decorated close coupled WC and cistern 51cm with Ceramic Lever. 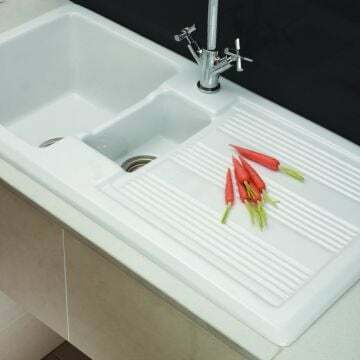 The pan is made from vitreous china and painted. 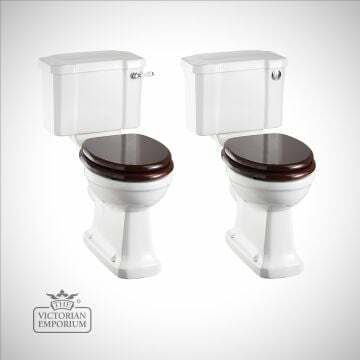 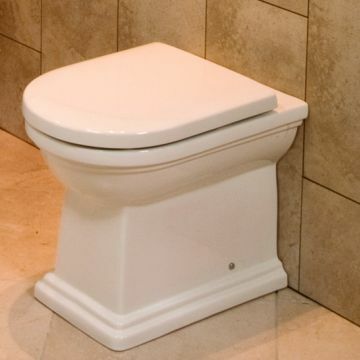 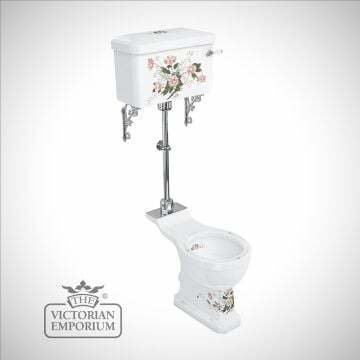 This pretty close coupled WC suit includes a viteous china pan, cistern kit, a decorated cistern with lid and a seat.